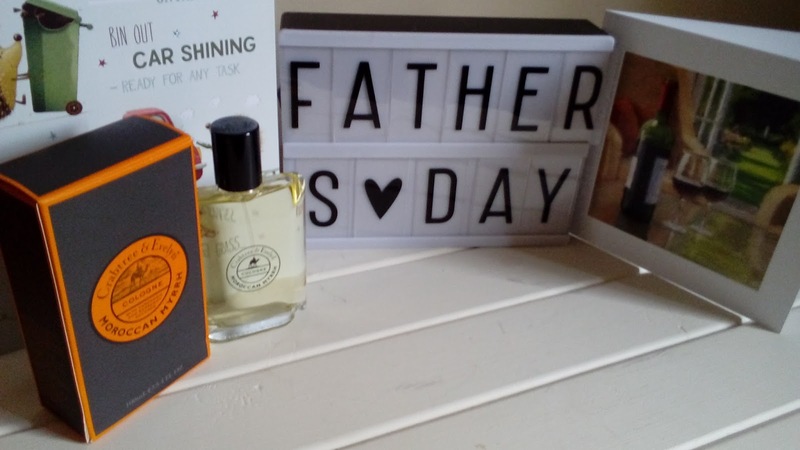 Crabtree and Evelyn Moroccan Myrrh Cologne* - Perfect For Father's Day! Father's Day is almost upon us we are all trying to find that perfect gift for the special guy in our lives. Dad's are all different and while some may love technology, be a crazy Star-Wars fan or love a good beer, I'm sure most of them shave and use a Cologne or Aftershave too. My Dad uses both and my sister usually gets him a new one each Christmas. 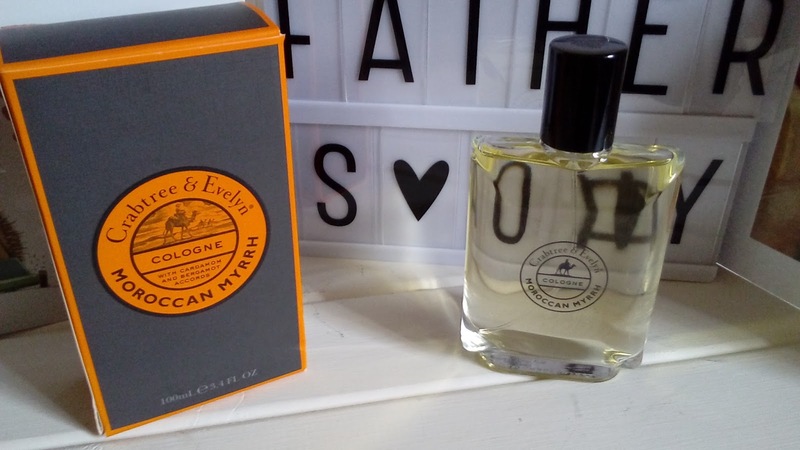 But he may be lucky on Sunday because Crabtree and Evelyn have replaced their Nomad collection with 'Morrocan Myrrh' but have kept the same incredible scent. I know this is meant to be a man's scent but I secretly really love it! The Bergamot and Cardamon add to the spicy notes of this cologne, giving it a lovely warm, spicy scent which instantly makes me think of leather, woodlands and dark wine cellars. (Collectively all the things which make me think 'Dad!') It smells wonderful and is definitely one I would love to wear myself. Crabtree and Evelyn were founded over 40 years ago by Cyrus Harvey. First selling soaps from around the world they are now an internationally renowned brand known for embracing the wonders of the natural world, long before it would become popular. The brand is known for their fine fragrances, fine foods and gorgeous gifts; all packaged to transform the ordinary rituals of everyday life into inextricably pleasurable experiences. The Crabtree and Evelyn's logo, the Crab Apple Tree, is the ancestor to all British apple trees and is prized for its use in the home apothecary, making it the perfect symbol for a brand which represents beauty and natural goodness. This Morrocan Myrrh Cologne replaces their Nomad collection but retains the classic scent it was so well known for. 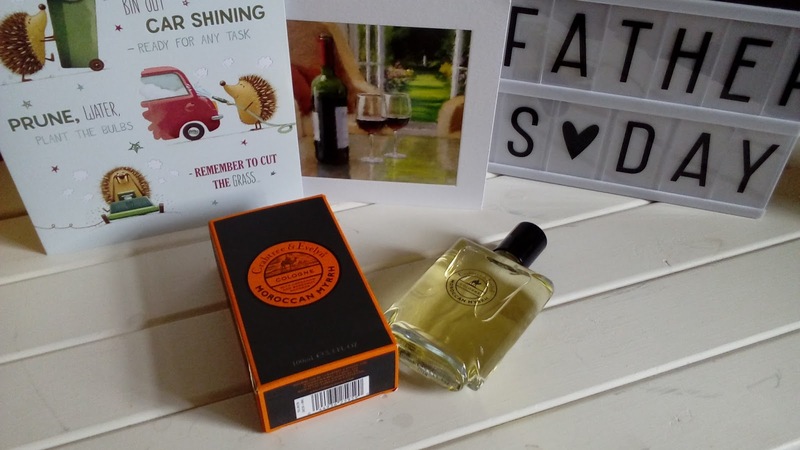 This collection includes a hair and body wash, soap, shave soap and an aftershave balm, so there should be plenty to choose from to make the perfect Father's Day gift. I may have a hard time giving this up because I actually really like it! I love the woody, spicy scent which is on the complete opposite end of the scale to my usual favoured scents of Chanel Coco Mademoiselle, Angel by Thierry Mugler and Cinema by YSL. I love how long it lasts and that it doesn't smell overly 'manly', I guess you could say that it is a unisex fragrance? I'm sure I'm not the only one out there who sometimes prefers their partner's/Dad's scents to their own?! Anyway, I hope you have enjoyed learning a bit more about this fragrance. 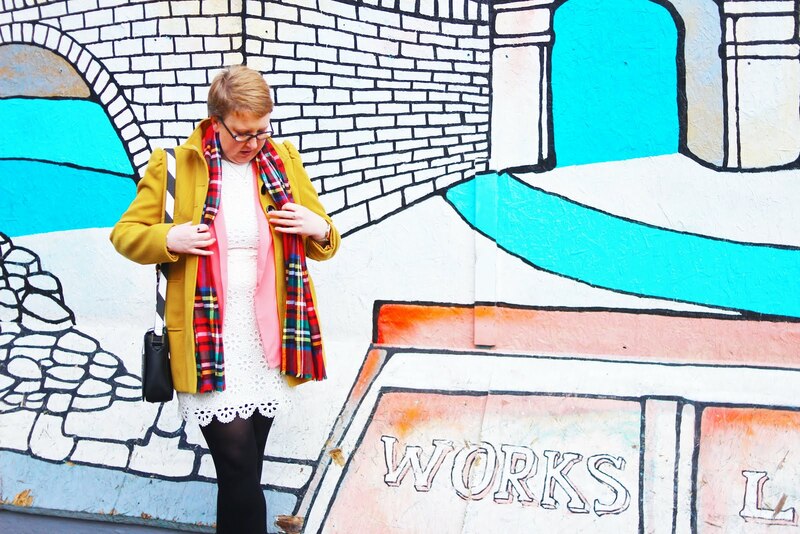 You can purchase it from their website for only £32 with free delivery! (on orders over £15 to UK mainland only). Wishing you and every Father a really happy day on Sunday. Let me know if this fragrance would be something your Dad/boyfriend/husband would like? Which are your favourites?